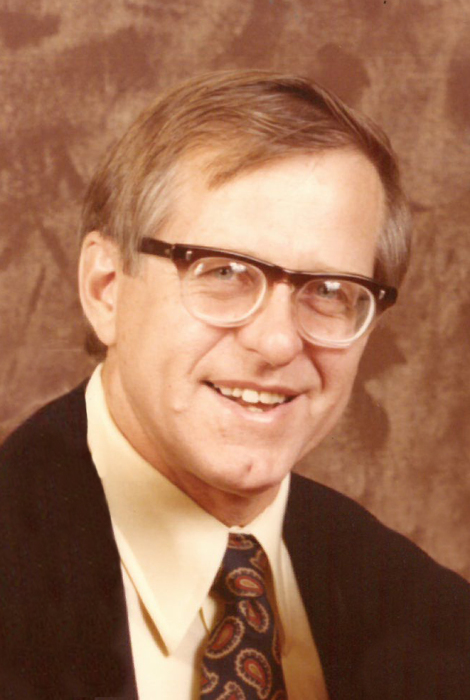 On November 23rd, within an hour after Thanksgiving 2018 had come to an end, Selfrid Öquist of St. George, UT passed away at the age of 89. He was born in Stockholm, Sweden on July 4, 1929, foreshadowing his future life in the United States where he always enjoyed having fireworks on his birthday. Selfrid was the youngest of 10 children who lived with their parents in a small apartment in Sundbyberg, a city adjoining Stockholm. His father, Simeon, was a gifted artist who painted portraits in order to support his family including, at one point, a commissioned portrait of the King of Sweden. Simeon's creativity also extended beyond painting, demonstrated in the dining room table he invented that could be opened up at night and converted into a bed for several of the boys. Selfrid's mother, Anna, was an incredible woman with a great sense of humor. She raised 10 children in a two-room apartment with a small kitchen. They lived on the third floor and the laundry facilities were in the basement--and, no, there was no elevator! Anna's positive attitude and kindness were hallmarks of her personality throughout her life. With 8 brothers in the family, including Selfrid, there was always a lot of teasing going on. Selfrid's wife often said that it was a good thing that she grew up with 3 brothers of her own, or she would never have survived all his teasing. He loved sports and often said that he had wasted his youth playing soccer. Except in the winter, of course, when he wasted his time ice skating and playing bandy, a sort of cross between hockey and soccer. He was left-footed as well as left-handed and his whole life delighted in spotting fellow lefties. One of the highlights of Selfrid's life, which he reminisced about often, was a bike trip from Stockholm to Paris that he took with his older brother Klas shortly after the end of World War II. Selfrid's life changed dramatically one day when his brother Nils came home with a bundle of something and handed it to him, asking him what he thought it was. Without hesitation, and before looking at it, Selfrid answered that it was the "word of God," an unexpected thing to come out of the mouth of a man who had been completely unreligious up to that point. It turned out that the bundle contained a Book of Mormon. Soon after, he, along with two of his brothers, Nils and Erik, joined the Church of Jesus Christ of Latter-Day Saints. Not long after joining the church, he discovered that he had cousins in Vancouver, Canada who had also joined the same church. In the early 1950s, he went to live with his cousin Lillian in Vancouver, Canada, a woman who he thought very highly of and for whom he had a soft spot in his heart for the rest of his life. During his time in Vancouver, he helped build the LDS chapel there and drew a picture of it that was used on the cover of the program for the dedication. This is the only time that we know of when he expressed the artistic tendencies that were so prominent in his family. 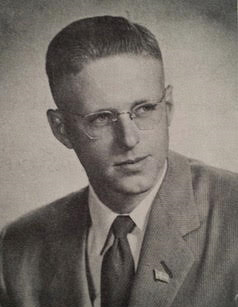 In 1954, when he was around 25, he went on a 2-year church mission in Canada. After returning, he was able to get a student visa to attend Brigham Young University in Provo, UT. While there, he rekindled his childhood passion and helped get a soccer team started, serving as a team captain. During that time, he also got a professor interested in his father's historical paintings. That professor ended up commissioning Simeon to do a painting of Joseph Smith which hung at the university for many years. Around 1960, Selfrid’s student visa expired and he returned to Sweden. During that time, he spent some time in Paris and also lived in Germany for a while where he studied German at a university. In 1963, he obtained an immigrant visa and returned to the United States to complete his studies. 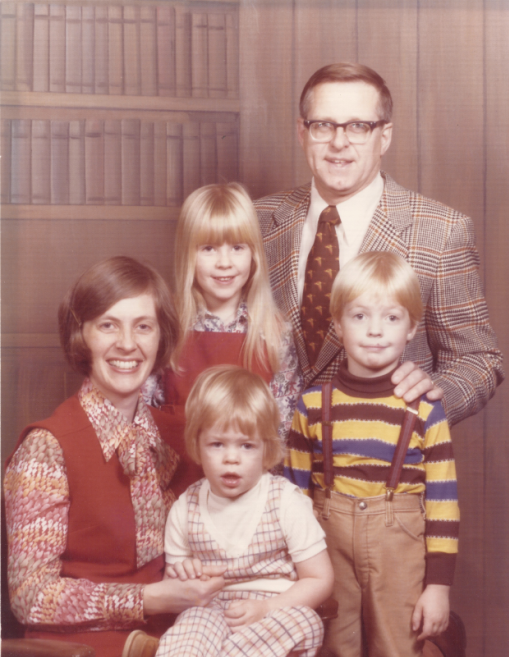 After receiving his BA at BYU, he went to the University of Washington in Seattle where he got a master’s degree in Scandinavian languages and literature. Then, he got a job at the University of Nebraska teaching Swedish and German. ...until the following May, when Selfrid decided to send her a letter. He was in Lincoln, Nebraska and was going to spend the summer in Salt Lake City doing genealogy; so, he decided to stop and visit Kerstin in Albuquerque, NM "on his way." 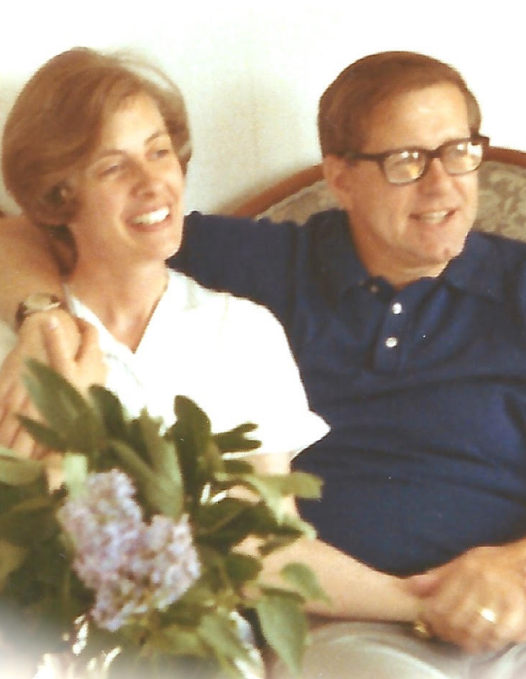 And, long story short, in June of 1971, they were married in the St. George, UT Temple. After a honeymoon in Sweden, they returned to the States and moved to Salt Lake City where they opened "The Scandinavian Shop." The birth of 3 children followed over the next three busy and joyful years. In 1975, when their youngest was a newborn baby, Selfrid and Kerstin were longing for the ocean and greenery of their native land. After selling their store, they moved to Washington State where they settled in a little town called Sequim out on the Washington Peninsula. Soon after, Selfrid started working in real estate and especially enjoyed dividing and selling raw property. The home that they purchased there in Sequim sat right on the Dungeness River. Selfrid thoroughly enjoyed being able to fish for salmon right from his backyard under the watchful eyes of bald eagles who perched up in the highest trees overlooking the river with the same goal in mind. The property had a large lawn that sloped down from the bank of the river to the house. His children were young at that time, and Selfrid enjoyed making paths in the grass with his riding lawn mower for the kids to run around on and also loved kicking a ball with them. Two highlights for Selfrid during those years were the visit of his beloved mother accompanied by a niece in 1976 and, sometime after that, his brother Nils from Canada coming to live with them for several months. Other than the lack of sun, Sequim was a little paradise for them in many ways. But in December of 1979, his beloved river turned on him with record flooding which forced him to evacuate his family in the middle of the night. It was sobering for him to watch the neighbor's house come floating down the river. In the end, their home was spared, but some of their lawn had been claimed by the river. And, the sound of the river running through their property never again seemed quite as peaceful as it once had. Selfrid had always said that if the Hood Canal Floating bridge that connected Sequim to the mainland ever went down, it would signal the end of the world. And, in February of 1979, the Hood Canal Bridge did fall into the ocean. Due to this and the general downturn in the national economy at that time, the real estate market on the peninsula was dealt a serious blow. So, in 1981, Selfrid and his family moved to Arlington, a small town on the Washington mainland north of Seattle. It turned out to be a blessing in disguise, as it was a good place to finish raising their children. In 1984, he and Kerstin bought 5 wooded acres that were part of a new development in the Arlington area called Eagle Ridge. Since they had very little money at the time, he decided with his typical do-it-yourself Öquist determination that he would just build a house himself. This, he proceeded to do nail by nail, having mostly completed a 2000 sq. ft house by the Christmas of 1985. For the rest of their time there in Arlington, he continued to work on making improvements to the house and property. And, he absolutely loved working in his garden! He often said that he should have been a farmer. But one year, after the kids were grown, his beans rotted in the ground before coming up and had to be replanted 3 times. At that point, he had had enough. It was time to move to a warmer and drier climate! So, in 1998, he and Kerstin sold the house he had built and moved to St. George, UT where they had been married years before, a place where he had often dreamed of living. He and Kerstin had several good years there, taking advantage of the many things that the area had to offer including theatre productions, history walks, and other cultural events. He continued working on genealogy and doing temple work for his ancestors. He often remarked that he felt that the St. George temple had been built just for him. Over the last 10 years, however, he was greatly slowed down by progressive dementia and worsening back problems, but he still took joy in the simple things in life. He enjoyed playing table tennis regularly right up until last spring and kept his sense of humor until the end. Selfrid was a life-long learner who had a love for the scriptures, history, and genealogy. He was known for his integrity, sense of humor, soft heart, and humble demeanor. Selfrid was preceded in death by his parents Simeon and Anna Öquist, his sister Rosie, and his brothers Sigurd, Georg, Nils, Åke, Klas, Erik, and Albert. He is survived by his wife Kerstin, his daughter Christine, his sons Lars and Nils (Shannon), his sister Anna Lisa, and his grandchildren Annika, Brenden, Katie, Angelina, and Alicia. 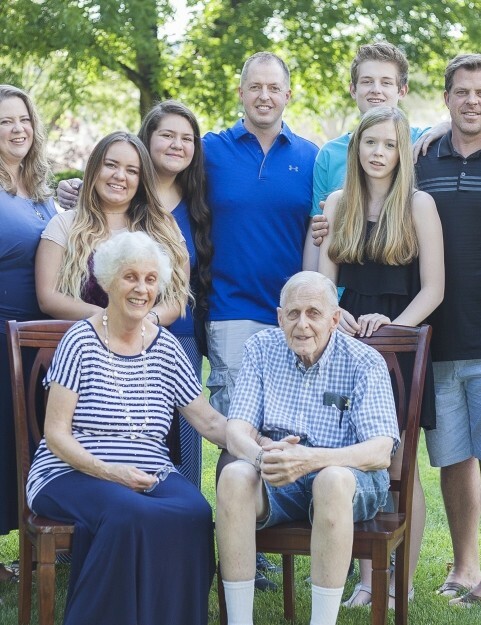 The family would like to thank all those who showed such kindness to Selfrid during his years of decline including the members of the Foothills Ward, the Southern Utah Table Tennis club, and Angel Bonoan who was such an extra special friend during his very last few years. They would also like to thank the amazing staff at the hospital who cared for him during his final days there. Funeral services will be held at the LDS chapel on 2450 South in St. George, UT on Friday, November 30th at 11:00 am with a viewing from 9:30 am to 10:30 am.